Description Help Dr Lee on his mad adventure. Start flying to earn cash and upgrade the rocket. Earn coins by collecting $ floating around in the sky. 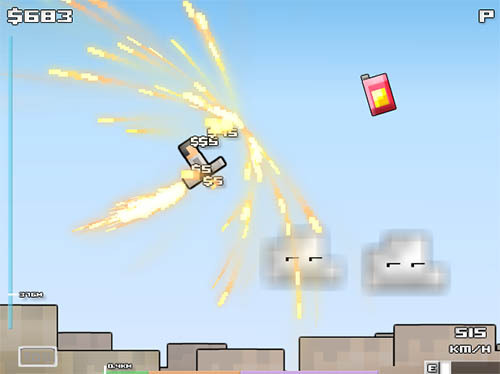 Blast your way into the clouds going upwards, but the main aim is to get as far as you can for a higher score. The more upgrades you get the easier flying will become. Controls Use A and D to change direct, E to use rocket fuel.